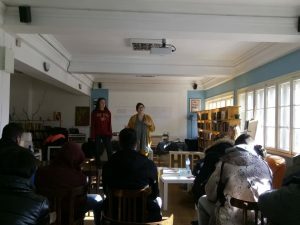 On December 7th 2018, the EVS volunteers of the International Foundation for Y-PEER Development (IFYD) based in PETRI-Sofia, Viktorija from Macedonia and Katrina from Austria, participated in an event organized by the SEED Foundation and Hub-a, a youth center and co-working space in Samokov, Bulgaria. The volunteers presented PETRI and IFYD, the main areas of work and current activities. 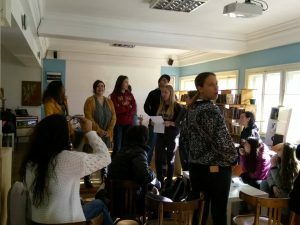 They also facilitated a one-hour workshop on the topic of gender equality and gender roles. There were 20 high school students who took part in the workshop. 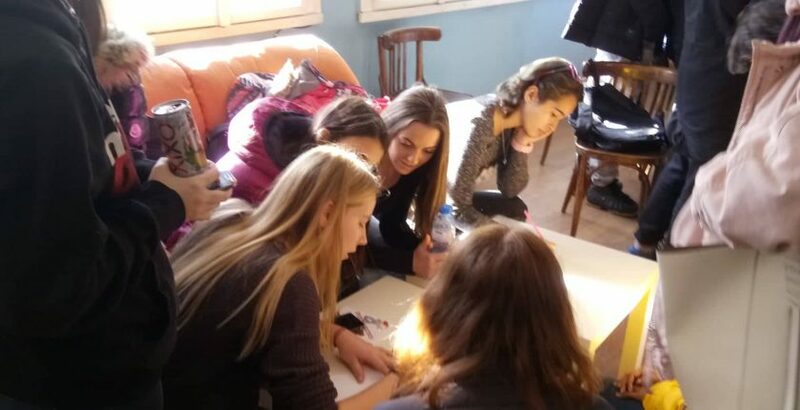 The workshop aimed to increase the understanding of young people about gender-based inequalities in today’s society. It also had the purpose to raise the awareness of the youngsters about discrimination against women as a violation of human rights, and make them think about their positions and views on different treatment of men and women in society.